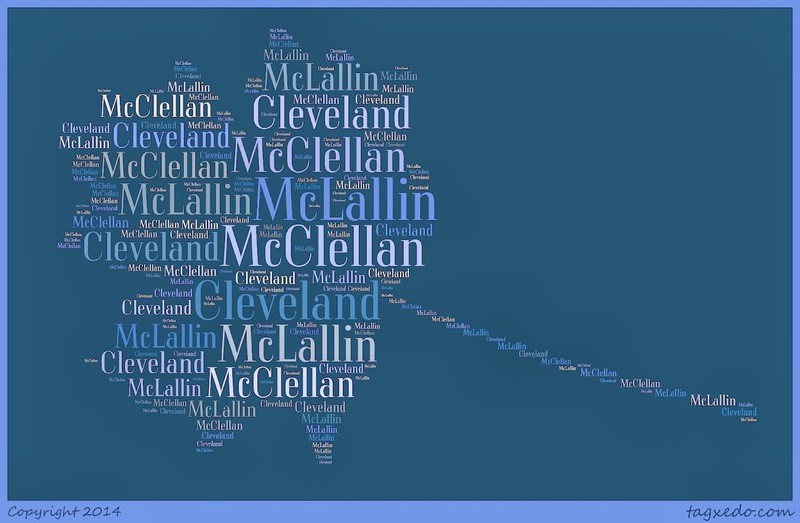 My paternal surname,McLALLIN, is interchangeable, spelling-wise, with McCLELLAN and other variations. 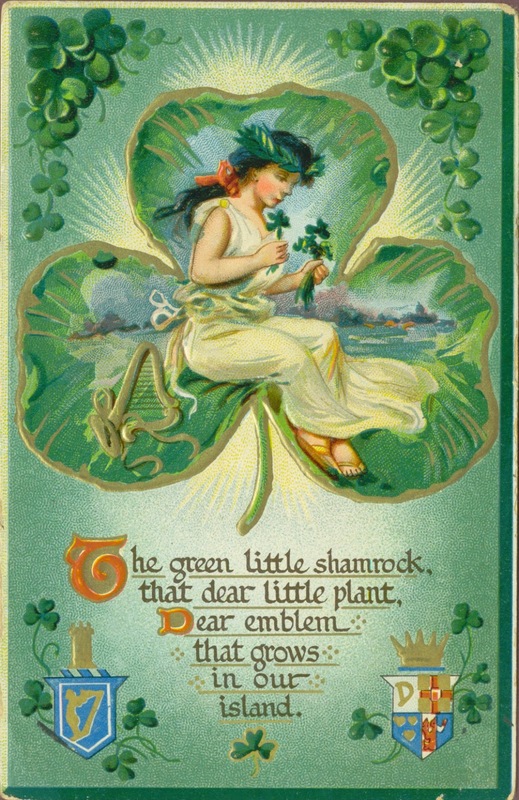 The meaning appears to be Scottish and Irish. It is an Anglicized form of the Gaelic "Mac Gille Fhaolain" (Scottish) and "Mac Giolla Fhaoláin" (Irish), which means "son of the servant of (Saint) Faolá. The pronunciation of "Fhaolain" is similar to the English "Whelan." This line has been incredibly difficult for me to research for several reasons. Besides the many, many spelling and pronunciation variables, this is my paternal grandmother's biological line. She was an adoptee. Also, early deaths of adults left orphans in the family, and there seems to have been a low literacy rate in this line. As a result, there were no stories, documents, or photos passed down to the present generations. Ahnentafel #188 - William McLALLIN (d. bef. 1850) - my earliest known ancestor; he married Rachel [--?--], born about 1797 in Ohio. Ahnentafel #94 - Levi Edward McLALLIN (c. 1823 - 1882) - probably born in Montgomery Co., New York. He married first to my ancestor, Clarissa Mary CLEVELAND (c. 1832 - 1877), in 1848 in Cottrellville Twp., St. Clair Co., Michigan. They had at least four children: William, Cornelia, Edmund, and Ira. Levi was a farmer and a carpenter, and served in Company C, 27th Michigan Infantry during the Civil War. He was promoted to corporal during his service. After Clarissa's death, he married Mary C. FORD (c. 1831 - 1894). Levi died of consumption related to a wartime bullet lodged in his lower chest cavity. His body is supposed to be buried at Chesterfield and Lennox Union Burying Ground, Macomb Co., Michigan; however, inquiries to the cemetery have yielded no record or apparent tombstone. Ahnentafel #47 - Cornelia McCLELLAN (1856 - 1919) - born in St. Clair, St. Clair Co., Michigan, Cornelia married my ancestor and Civil War veteran, Sylvester FREDENBURG (1844 - 1879), in 1872 in Ridgeway, Lenawee Co., Michigan. Sylvester was a widower with two small daughters. He and Cornelia had three more children: George, Mary Jane, and William. Sylvester died of disease contracted during the war. Cornelia then married another Civil War veteran, Washington Foster JUDD, also known as Charles F. KING (c. 1830 - 1896). They married in 1893 in Lapeer, Lapeer Co., Michigan. After Washington's death, Cornelia's third and final marriage was to Clark CRAWFORD (b. 1854) in 1897 in Leonard, Oakland Co., Michigan. Cornelia was illiterate and poor. She probably had to keep marrying to support herself and her children. She died in Lake Orion, Oakland County of cerebral thrombosis, and was buried in the Orion Cemetery. Ahnentafel #5 - Jane Marie YORK (a.k.a. Jeanne Marie HOLST) (1924 - 2012) - my paternal grandmother, an adoptee. She was born Jane Marie YORK and her name was changed at adoption. She married Robert Louis ROBBINS (1920 - 2003) in 1940. If you've read my blog for awhile, you'll notice that on my Surname Saturday posts I generally have the surname meaning and history at the top of each one. Many of these I've been able to find using Ancestry.com's Surname Meanings and History in the Learning Center. You don't have to have a subscription to Ancestry to use this fun feature. First of all, enter your surname, or your ancestor's surname, into the search engine and click on the Search button. You will generally be given the meaning and origin of your surname, courtesy of the Dictionary of American Family Names. So far, I've been able to find the meanings of most of my surnames, even some o the more unusual Frisian surnames, such as Tuinstra. 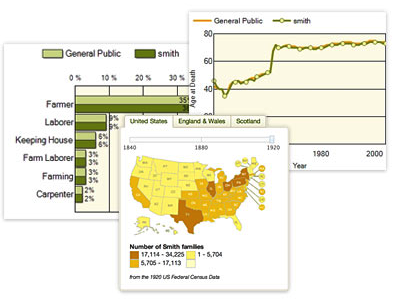 Under this section, you can view the name distribution of your surname in the United States, England and Wales, and Scotland, based on census statistics in those countries. You can change the census years to see how the name became more or less distributed over time. Further down the page, you can view family origin by country (based on U.S. immigration records); immigration information showing statistics and years of immigration; average life expectancy of those with this surname (based on Social Security Death Index data); family occupations and military service (from census records); and links to corresponding message boards. Keep in mind that this data is highly "U.S.-centric" and all of it appears to be from records held on Ancestry, so there is definitely room for error. Nevertheless, it is a nice way to learn some basic facts about a surname. Take some time exploring this free feature from Ancestry. What do you think? The March 2014 Scanfest will take place here at AnceStories this coming Sunday, March 30th, from 11 AM to 2 PM, Pacific Daylight Time. 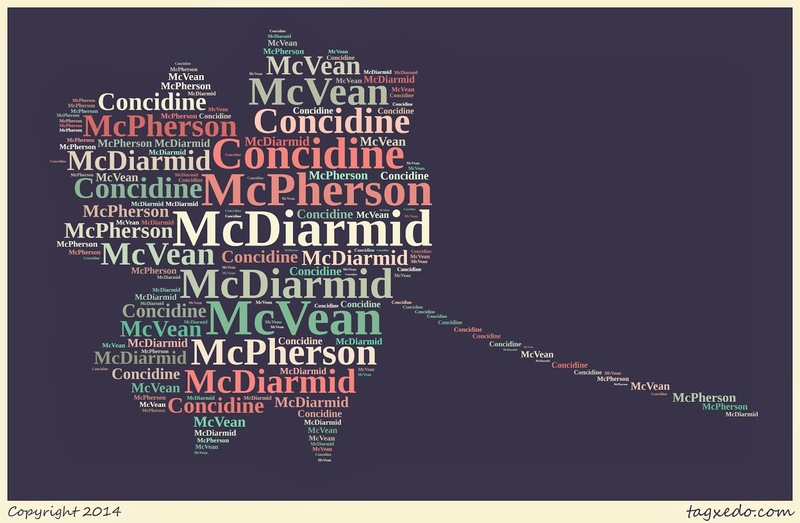 McDIARMID is one of my paternal grandmother's adoptive lines. It is her adoptive maternal grandfather's mother's maiden name. I use the letter "B" after each ahnentafel number to distinguish my adoptive family ahnentafel from my biological one. Ahnentafel #90B - Duncan McDIARMID (1799 - 1872) - christened in Killin, Perth, Scotland, he married Mary McPHERSON (1805 - 1876) in 1820 in New York State. They had three known children. In 1842, they were living in Bowne Township, Kent County, Michigan. It is believed they lived there until their deaths. Ahnentafel #45B - Elizabeth "Polly" McDIARMID (1828 - 1891) - born in Wheatland, Monroe Co., New York, she removed with her parents and siblings to Bowne Township, Kent Co., Michigan, where she married John D. CONCIDINE in 1849. They had nine known children. She spent most of her adult life in Byron Township, Kent County, Michigan. She died of consumption. 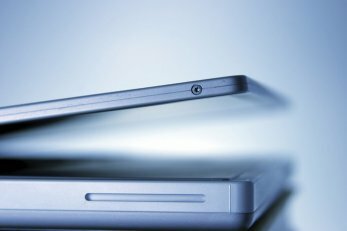 If you're reading this blog, chances are you read other genealogy blogs. In fact, you've probably got a long list of them that you've added to your feed aggregator, such as Feedly. But as a genealogist, have you considered reading the blogs of the archives, libraries, and historical and genealogical societies of the states where your ancestors lived? For instance, as a Washington State resident, I follow the Washington State Archives blog: "From Our Corner," and the Washington State Library blog: "Between the Lines." Because I have so many ancestors from Michigan, I also follow the blog for the Michigan Digital Archives (Seeking Michigan), called "Look." There are numerous other state-level blogs I follow, especially those that might update me on digitized city directories or newspapers for my Online Historical Directories and Online Historical Newspapers sites. If you are reading this from a non-U.S. country--or have traced your American ancestors "across the pond"--don't hesitate to discover provincial, regional, and municipal archives, library, and society blogs in those nations as well. Use Google Translate to assist you in any language challenges. Finally, for my fellow Americans, don't forget the Library of Congress blogs (yes, there are more than one!) and the National Archives (NARAtions) blog. Happy reading, happy learning, happy hunting! Postcard to George Rice Westaby, III in Forsyth, Montana from Cousin Hazel, postmarked 22 March 1911, Mount Vernon, Oregon. Westaby-Lerfald Postcard Collection. Privately held by Troy Midkiff, [ADDRESS FOR PRIVATE USE,] Vancouver, Washington. 2014. 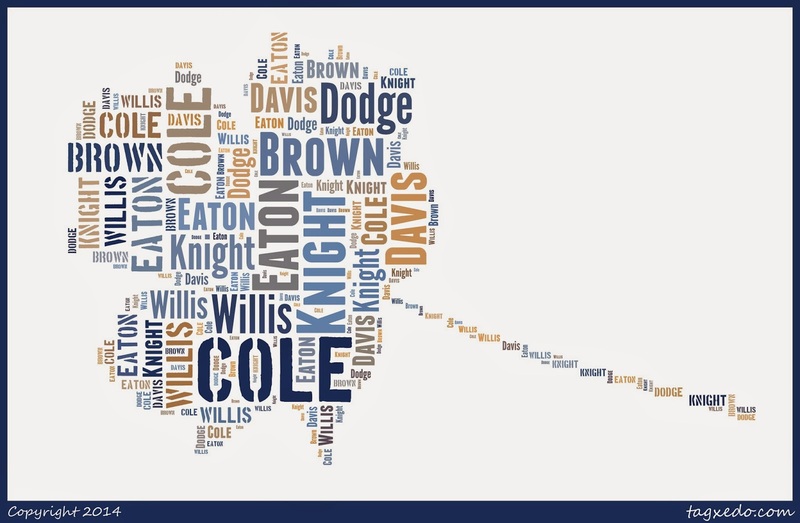 The COLE surname has many origins. In England, it is a Middle English nickname for "Nicholas." It can also be a derivative from Old English "Cola," which itself is derived from the word for "charcoal," and thus denotes someone of swarthy (dark) appearance. Finally, it can be from the Old Norse name, "Koli." My 3rd-great-grandmother, Elizabeth A. COLE, the last in my direct ancestry to be born with the COLE surname actually had three COLE lines. Her father was a COLE on both his parents' lines (his parents were COLE first cousins). On Elizabeth's mother's side, her mother's paternal grandmother was also a COLE, but this line was Dutch, not English, and the original spelling was KOOL (the pronunciation of KOOL in Dutch is identical to the English COLE). I will write about the KOOL line another time. Elizabeth's paternal COLE line originates in Essex, Engand, and they were some of the early colonists who settled in Massachusetts. Because she is doubly descended from this line, some of her ancestors have two ahnentafel numbers. Ahnentafel #11520 & #11584 - Thomas COLE (c. 1600 - c. 1678-9) - born in Navestock, Essex, England, he married Ann [--?--] (b. c. 1600 - bet. 1679-81). A Thomas Cole came to America on the Mary and John on 24 March 1688 and was an original proprietor of Hampton, Massachusetts. There is another mention of a Thomas Cole being a husbandman at Salem, Massachusetts in 1649-50. It's not clear if they are the same person. Thomas made a will on 15 December 1678, which was proved 27 April 1679. His widow Ann made a will on 1 November 1679, which was proved 2 May 1681. They had two known sons, Abraham and John. Ahnentafel #5760 & 5792 - John COLE (c. 1640 - 1703) - born in Salem, Essex Co., Massachusetts, he married his first wife, Mary KNIGHT (d. bef. 1675), in 1667 in Salem. They had four known children. John was one of the inhabitants of Salem who protested against imposts (raised taxes) in 1668. John was a cooper, and lived in Salem until c. 1675, when he removed to Malden, in Middlesex County. Between 1675 and 1686, he married his second wife, Sarah ALSBEE (d. bef. 25 May 1741). They had two children. The family removed to Lynn, Essex County where John died intestate. His will, made 5 October 1703, was endorsed "Will not perfect" and so was not proved. After his death, his widow Sarah was tried for witchcraft at Charlestown, but was acquitted 1 February 1693. Ahnentafel #2880 & #2896 - John COLE (1668 - 1737) - the eldest child of John and Mary (KNIGHT) COLE, he born in Salem, married Mary EATON (1672 - 1746) and had five known children. He moved from Salem to Lynn with his father (and probably also to Malden in between), and then removed in 1721 to the west parish of Boxford, Essex County, where in 1726, he was appointed surveyor of highways. His name appears on the Boxford tax lists between 1721 and 1736. He died quite suddenly in Boxford at the age of 68, intestate. Ahnentafel #1440 & #1448 - Jonathan COLE (1696 - 1780) - born in Lynn, he was also the eldest child of his parents. He married Judith BROWN, a.k.a. Judith BOWEN (1700 - 1746), in Boxford in 1724. They had 11 known children; the first five children's baptisms are recorded in the Bradford Church records and the remaining in the records of the Second Church of Boxford. He was dismissed from the First Church in Boxford in 1736 to help form the Second Church. He was appointed tithingman in 1742, and appears on tax lists from 1721 to 1744. In 1745, the family removed to Harvard, Worcestor County, where he bought a 65-acre farm on the north side of Pine Hill Brook, paying 410 pounds to Joseph DARBY. Two years later, he was dismissed to the Church in Harvard. His wife died in Harvard, Worcestor County in November 1746. He removed to Westmoreland, Cheshire Co., New Hampshire; he may have been there as early as 1752 when his son Jonathan received was granted a charter there. He is buried in the Canoe Meadows Cemetery, Westmoreland. He was one of the prominent men of the town [Westmoreland, New Hampshire] during the Revolutionary times. He was one of the committee to instruct the representative chosen December 12, 1775. He was a sergeant in the Eighth company of Colonel Nichols' regiment, Joseph Hindes captain, in 1776, and was in the battle of Bunker Hill. His name is to be found on the roll of signers of the test oath of March previous, as is also that of his brother Johnathan. In November, 1777, a company of sixty-three men was raised for service against Burgoyne, and he was chosen captain. In August, 1779, he was chosen one of a committee to settle with a committee from the Baptists, the rights in the church building and to move the church to the new site on Park Hill. The change was successfully consummated. In November of the same year he, with others, was selected to furnish the house and appraise the pews. He was several times surveyor, fence viewer, and committeeman. He lived in the north part of town. After his family became large and the older children had left home, he removed to Windham, Vermont. He died in Westmoreland, while on a visit to his oldest brother, Jonathan, and was buried in the River Cemetery in that town, as was also his wife and one daughter. [Note: other records indicate he was buried in Canoe Meadows Cemetery, Westmoreland. Whether or not this is another name for the same cemetery, or a different one, is not clear.] The oldest sons had not gone with him to Vermont, and they drifted to various parts of the country. The younger children, who were in Windham at the time of his death, remained in and around that region till middle life, and some of them all their days. The youngest [son Heber] in some way got back to Westmoreland, and lived the remainder of his days there. With him his mother spent her last days. Mr. Cole was a tall, good looking, good tempered man, and at 70 years of age was straight and active. His wife, Bathsheba Dodge, was a native of Wales, who came to this country with her parents when she was quite young. They settled in the Connecticut Valley, and she was early inured to the hardships and perils of a frontier life. She was a strong tempered, energetic woman of massive frame and great strength. They were married in Westmoreland, New Hampshire, February 7, 1786. She died in Buckingham at the residence of her son Oris, at the age of eighty-four years. Salmon and Bathsheba's son Daniel Dodge COLE married Salmon's niece, Rogena (Roxanna) COLE. Ahnentafel #362 - John COLE (1763 - 1850) - the second son of his parents, he was born in Westmoreland. He left home before his marriage to Hannah [--?--] (b. 1771), and after a time settled near London, Ontario. He probably married Hannah around 1790, perhaps in Westmoreland. They had 11 known children. "He was a skilled workman at some trade, and was also a farmer part of his life. In his latter years, he lived on the outskirts of [London] and kept a large tavern." Four letters he wrote from 1828 to 1840 survived and in them, he mentioned his family and gave a list of his children in order. Portions of his last letter to his brother Heber can be found in The Early Geneologies [sic] of the Cole Families in America. He died in London, Ontario. His daughter Rogena (Roxanna) married his nephew Daniel Dodge COLE. These first cousins, both of whom were born in Londonderry, Windham Co., Vermont, may have married in Malahide Township, Elgin Co., Ontario. They had nine known children, the first three apparently born in Ohio, while the middle children were born in Canada (currently, I have no birthplaces for their youngest children). The Early Geneologies [sic] of the Cole Families in America states they moved to the Rock River country in Wisconsin in 1839. At some point they must have returned to Canada, for Daniel and Rogena are shown to have died in South Dorchester, Elgin County and are buried in Burdick Cemetery, Malahide Township. Their middle sons, James and William, removed to Lapeer County, Michigan about the mid-1860s. Ahnentafel #90 - James COLE (1821 - 1872) - born in Canada, he married a New York State native, Lavina WILLIS (1827 - 1898) in 1843 in Springfield, Elgin County, Ontario. They had seven known children, all of whom appear to have been born in Elgin County. Around the mid-1860s, James and Lavina removed to Lapeer County, Michigan with some, if not all, of their children, and the family of at least one of James's siblings, William COLE. James and Lavina lived in Elba and Mayfield Townships in Lapeer County. James was an illiterate day laborer. He died of typhoid fever in Mayfield Township. Ahnentafel #45 - Elizabeth A. "Betsey" COLE (1846 - 1919) - born in South Dorchester, Elgin Co., Ontario, Elizabeth married English native James A. BARBER (1841 - 1912) about 1861. They had ten children. They were living in Amabel, Bruce County, Ontario when the 1871 Canadian Census was taken, and declared their religion to be Baptist. James was farming at the time. Around 1876, they removed to Lapeer County, Michigan, where Elizabeth's widowed mother and her paternal uncle's family were living. They settled first in the city of Lapeer, but were farming in Elba Township by 1880. In 1898, they were in Farmers Creek, Metamora Township, Michigan. In 1900, they were working a rented farm in Orion Village (now Lake Orion), in Oakland County, Michigan. Ten years later, they were on another rented farm in Montrose Township, Genesee County, Michigan. The year before, James had fallen and sustained injuries to his spine. It led to his death in 1912 in Mount Morris Township, Genesee County. Elizabeth probably moved in with one of her children. She died in DeWitt Township, Clinton County, Michigan from arterial sclerosis (hardening of the arteries) and acute nephritis (infection of the kidneys) as a contributing factor. She is buried with James at Mount Morris Cemetery in Mount Morris Township. 4. The Early Geneologies [sic] of the Cole Families in America by Frank T. Cole, published c. 1887 by the author in Columbus, Ohio. Available online at the Internet Archive. Have you ever wondered how other genealogists stay on top of all the latest genealogy news out there? Would you like to know when a subscription website has a discount offer or is allowing free access to some or all of their databases for a weekend? I always recommend to the new students in my genealogy classes that they sign up to receive updates from the major genealogical companies. This can be done by signing up to receive their blog posts via email or in a feed reader such as Feedly or The Old Reader. I point out that many of these companies offer specials around holiday weekends, so that's a good time to try out their sites or products. In addition, these blogs and newsletters are a great way to keep abreast of all the latest genealogical "headlines" available. Am I missing any? If so, leave your comments with links below. 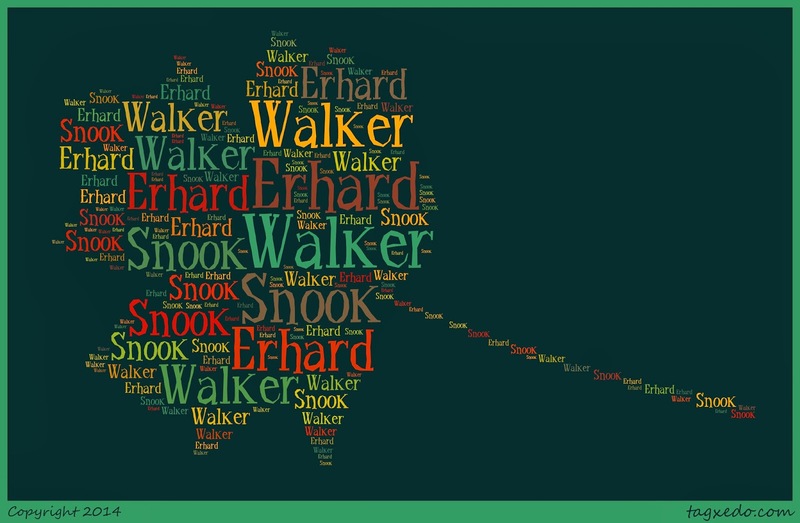 The surname WALKER is from the English (especially Yorkshire) and Scottish and is an occupational name for a fuller. The work of the fuller was to scour and thicken the raw cloth by beating and trampling it (walking on it) in water. Another version of WALKER and FULLER is TUCKER, which is rather interesting, considering the latter is also a step-surname on my children's paternal grandfather's side. Ahnentafel #172 - John WALKER (? - ?) - from Northampton County, Pennsylvania, he settled in Brush Valley, Miles Township, Centre County, Pennsylvania about 1798. He married Mary M. GRAMLEY. Ahnentafel #86 - Daniel WALKER (1807 - 1887) - born in Brush Valley, he married Hannah ERHARD (1807 - 1884). They had six known children. "Daniel Walker was by occupation an agriculturist, and passed his active life upon the first farm he ever owned. Although of small stature he was an industrious man, and was successful for his day. At the time of his death he owned over 500 acres of land in Brush Valley, 200 acres in Nittany Valley, and other tracts elsewhere. In politics he was a steadfast Democrat, but no office seeker. He took much interest in religious work as an active member of the Lutheran Church; his wife was identified with the Reformed Church. She died May 26, 1884, and his death occurred May 27, 1887, the remains of both being buried in the cemetery of Rebersburg." --Commemorative Biographical Record of Central Pennsylvania: Including the Counties of Centre, Clearfield, Jefferson and Clarion: Containing Biographical Sketches of Prominent and Representative Citizens, Etc. Chicago: J. H. Beers, 1898. Ahnentafel #43 - Mary Ann WALKER (1830 - 1870), born in Pennsylvania, she married Reuben Wohlford SNOOK (1833 - 1912) before 1859. They had seven children before Mary Ann died, possibly due to childbirth of her youngest. Have you listened to a podcast lately? With so many devices that can be used to transmit a podcast (computer, tablet, iPod/MP3 player, mobile phone), you can listen while you commute to work, exercise, or even tidy up your office. It's a great way to stay current with the latest genealogy news, learn some research tips or interesting history facts, or enjoy an interview of a genealogy rock star! Family History: Genealogy Made Easy - http://lisalouisecooke.com/family-history-podcast/ - Lisa Louise Cooke explains how to do genealogy step-by-step. Hmmm...check out that guest on Episode 3! Genealogy Gems Podcast - http://lisalouisecooke.com/podcasts/ - Lisa Louise Cooke - this “queen of genealogy podcasts” (she hosts four podcasts!) features news and lots of interviews (especially at conferences and seminars; as well as videos and rebroadcasts of old-time holiday radio shows. She also had a premium (subscription-based) podcast with additional content. The Genealogy Guys - http://genealogyguys.com/ - George G. Morgan and Drew Smith; the longest continuous-running genealogy podcast features news, interviews, and answering listener e-mail (tech and research help). The Genealogy Professional - http://www.thegenealogyprofessional.com/ - are you interested in becoming a professional genealogist? This podcast features pros who outline their experiences and give tips and advice. The National Archives - http://www.nationalarchives.gov.uk/rss/podcasts.xml - this is the British National Archives, not the U.S. National Archives and Records Administration (NARA). Lots of fabulous British history here. If you simply can't get enough podcasts, check out the "10 Educational History Podcasts to Subscribe & Listen To" at MakeUseOf.. Don't forget to check your favorite genealogical or historical society or museum to see if they offer podcasts as well! 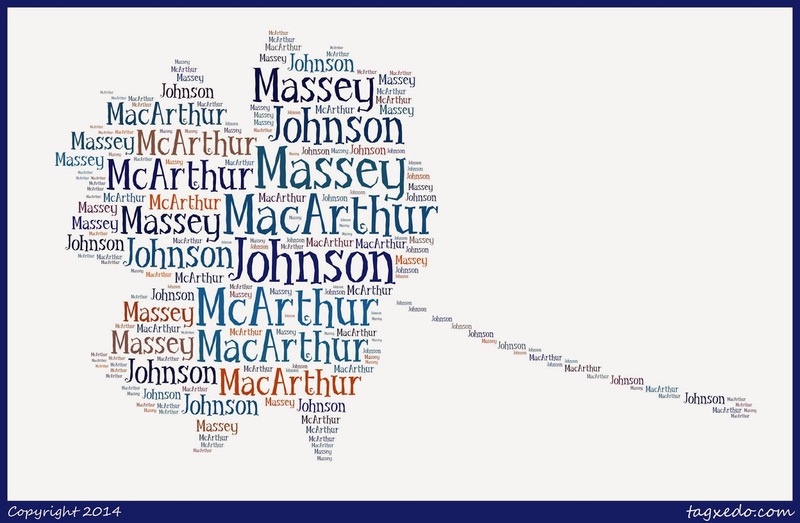 JOHNSON is an English and Scottish patronym from the personal name John. I have not researched this family much, due to the commonness of the surname and the time frame for this family requires searching other record collections besides vital and census records. Ahnentafel #86 - Nelson H. JOHNSON (1806 - 1857) - born in Connecticut, he married Catherine MASSEY (1812 - 1882) around 1836, probably in Michigan. They had six known children and lived in Ingham and Gratiot, Clinton and Montcalm Counties. He died in Washington Township, Gratiot County and is buried Hill/Danley Cemetery in Fulton Township of that county, along with his wife. Ahnentafel #43 - Martha JOHNSON (1844 - 1897) - born in Ingham County, Michigan, she married a Canadian and Civil War veteran, Daniel J. MacARTHUR (1827 - 1919) on 27 February 1863, probably in Montcalm County. They had seven children. She died in Washington Township, Gratiot County, and is buried in Hill/Danley Cemetery in Fulton Township with her parents and husband.